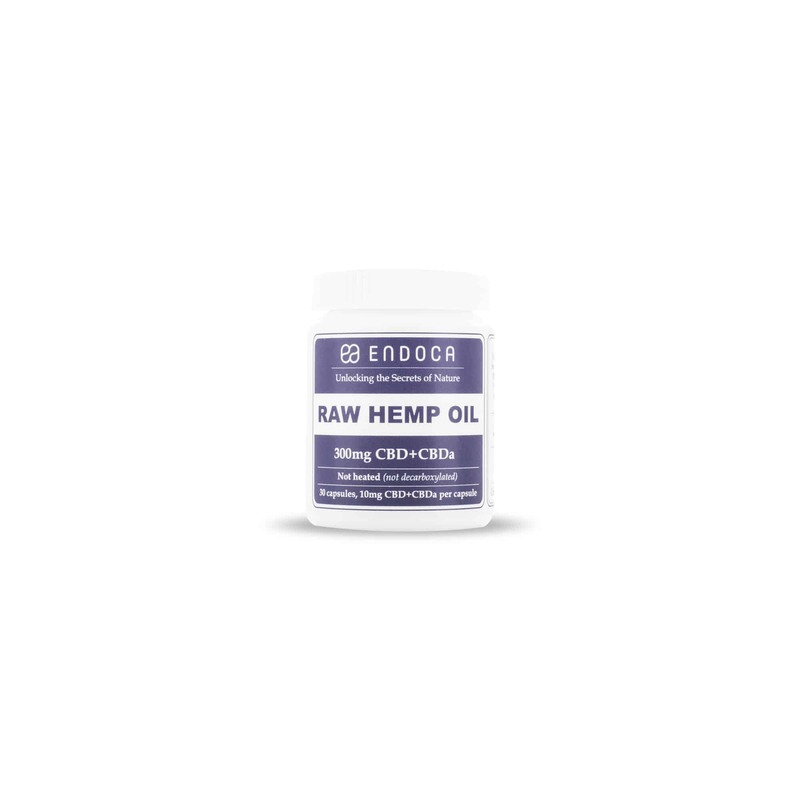 1 bottle containing 30 10mg capsules for a total of 300mg of raw CBD. 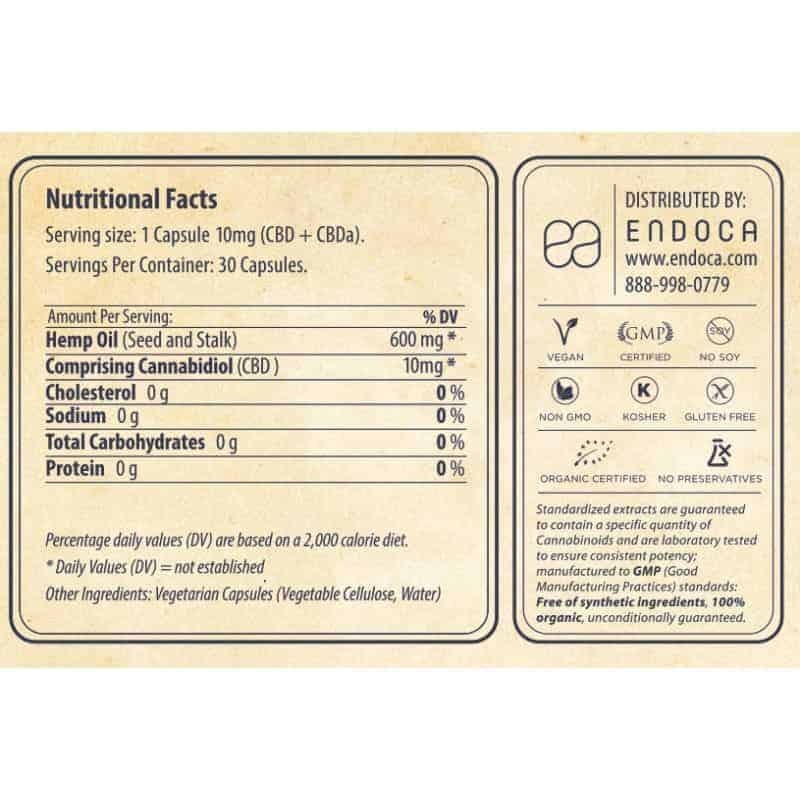 Endoca's suggested serving size is 10mg taken three times a day. For most people 30mg of CBD per day is enough. 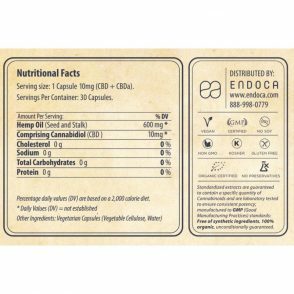 However if you take 25mg there are about 12 servings per bottle. If taken twice daily this product would last you 6 days. 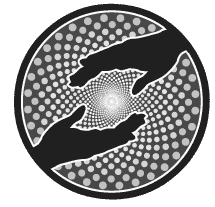 If you need more CBD you should consider buying the more concentrated CBD capsules found here.